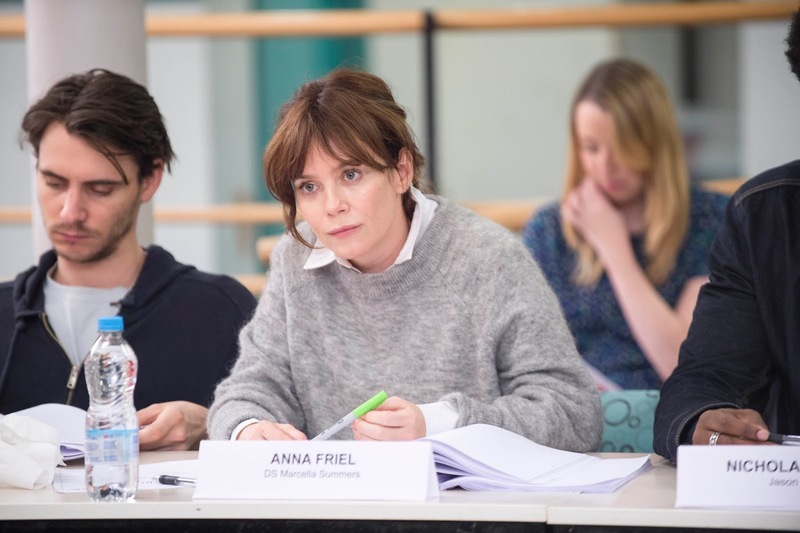 Original multi-stranded crime drama Marcella, written by internationally renowned screenwriter and novelist Hans Rosenfeldt will star Anna Friel in the lead role, ITV announced today. The new eight part drama series will also star Downton Abbey’s Laura Carmichael, Nicholas Pinnock (Fortitude, Captain America), Ian Puleston-Davies (Coronation Street, Being Human), Nina Sosanya (W1A, Last Tango in Halifax), Ray Panthaki (named BAFTA breakthrough Brit 2014, Convenience), Jamie Bamber (Law & Order: UK, Battlestar Galactica), Patrick Baladi (The Office, Mistresses), and Harry Lloyd (Game of Thrones, The Theory of Everything). Marcella is shocked to the core of her being when her husband Jason (Nicholas Pinnock) leaves her unexpectedly, confessing he no longer loves her. Heartbroken, Marcella returns to the Met’s Murder Squad. Ten years ago Marcella gave up her fast-tracked police career to marry and devote her life to her family. With the abrupt end to her marriage and isolated from her 13 year old daughter and 10 year old son, Marcella throws herself into work to stop herself from falling apart. Marcella wants back in on the serial killer case she first worked on in 2005. She’s got a hunch she wants to follow up on, a hunch she couldn’t follow through with due to falling pregnant with a second child. Has the killer re-appeared or is a copycat murderer responsible for these recent deaths? How will Marcella cope returning to duties when her own temperament is so fragile and vulnerable? Will throwing herself into her work provide the answers she’s seeking? Or lead her dangerously into territory she must evade at all cost?